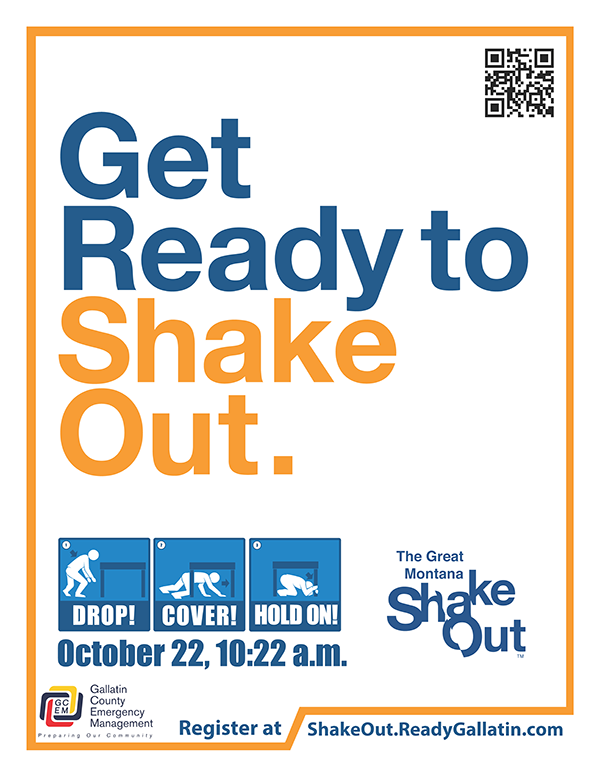 Bozeman, MT – Everyone is invited to join their neighbors and friends during the 2014 Great Montana ShakeOut this October. On October 22, 2014 people across Montana will be practicing Drop, Cover, and Hold at the same time in recognition of living in earthquake country. 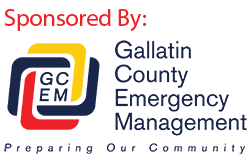 While we often do not feel them, earthquakes regularly occur in Gallatin County and it is vital that everyone know how to react when a large earthquake does occur. The Great Montana ShakeOut provides a common opportunity for all Montanans to take note of living in earthquake country, review their emergency plan, then Drop, Cover, and Hold. The ShakeOut provides program materials for a variety of organizations from businesses and schools to private homeowners who want to participate in the drill. To learn more and register, please visit http://ShakeOut.ReadyGallatin.com. Many don’t realize that Montana is the 4th most seismically active state in the US. While many of the daily earthquakes occurring in Montana are not felt, occasionally they are big enough to be felt or cause damage. In fact, the largest Montana earthquake (14th largest in continental US) occurred at Hebgen Lake in 1959. While we never know when a large earthquake may occur, the best defense is preparing your family plan on what you need to be self sufficient and how your family will respond during a disaster. To learn more about earthquake preparedness, or the Great Montana ShakeOut, visit ShakeOut.ReadyGallatin.com.